When will be Downtown Shabby next episode air date? 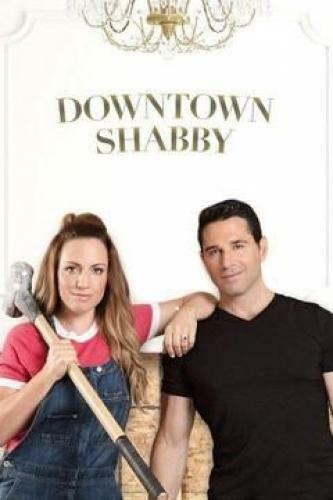 Is Downtown Shabby renewed or cancelled? Where to countdown Downtown Shabby air dates? Is Downtown Shabby worth watching? Across America, there are thousands of older homes that look like the perfect dream house on the outside, but are practically unlivable on the inside. These beautiful vintage homes hide dark secrets from dry rot, to weak foundations, to cramped design or even termite infestations. In Downtown Shabby, renovation and design experts Frank and Sherry Fontana, will take these homes and renovate, remodel and ultimately revive them into modern masterpieces. Downtown Shabby next episode air date provides TVMaze for you. EpisoDate.com is your TV show guide to Countdown Downtown Shabby Episode Air Dates and to stay in touch with Downtown Shabby next episode Air Date and your others favorite TV Shows. Add the shows you like to a "Watchlist" and let the site take it from there.